Buy Online Now! - Masters Apprentices Rock Concert Poster and Memorabilia. Jim Keays, Colin Burgess, Doug Ford and Glenn Wheatley were the Masters Apprentices. They had two huge hits in 1970, both of which could qualify for the label of ‘classics’. The first song, ‘Turn Up Your Radio’ was a very guitary number and for best results had to be listened to at over 100 dB. Their next song, ‘Because I Love You’, was a much gentler acoustic song. 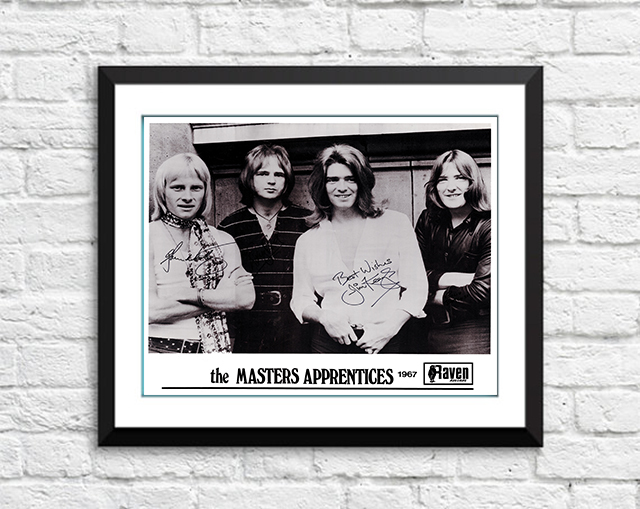 We stock an awesome Masters Apprentices band concert poster. Available in different sizes and printed on high quality 210gsm paper, you’ll find no unsightly pin holes, stains or creases. In fact it looks like they could have come straight off the press from the original print run.